A hockey season often represents a period of rebuilding and new beginnings for a team — but this year, for the Humboldt Broncos, it also, hopefully, one of healing and moving on for the entire town. This past April, hockey sticks were lined up on porches across Canada, in tribute to those who died in the Humboldt Broncos bus crash. There are fewer of them out now, as young players have taken them up in preparation for a new hockey season. In the upper rows of the Elgar Petersen Arena of Humboldt, Sask., coaches and scouts scribble notes while fans speculate on who will carry the team's green and gold colours into the autumn and winter months. 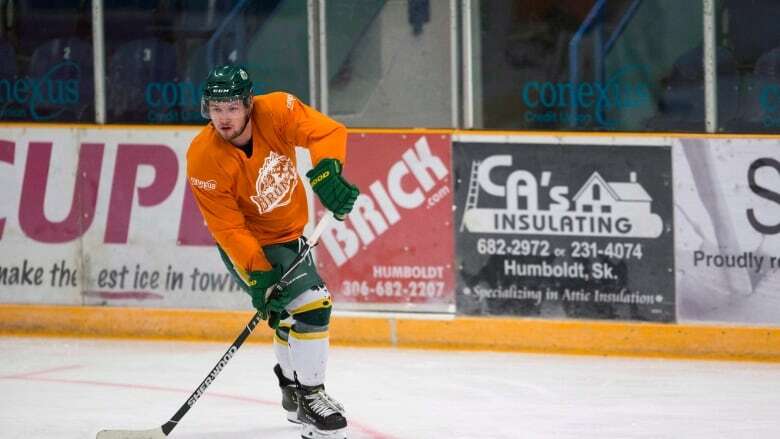 "It's going to be bittersweet, you know, as the season gets back into gear," Humboldt Mayor Rob Muench ​told Anna Maria Tremonti, who was in Humboldt for a special edition of The Current. "But we're looking forward to it and doing our best to remember those that perished in the accident, and go forward from there." Sixteen people died, including 10 members of the Broncos team, on April 6 when the team's bus collided with a semi-truck near Armley, Sask. Thirteen others were injured. The truck's driver Jaskirat Singh Sidhu is facing 29 charges related to the crash, including 16 counts of dangerous operation of a motor vehicle causing death. A hockey season often represents a period of rebuilding and new beginnings for a team — but this time, it's also one, hopefully, of healing for the entire town. That effort is being bolstered this year by aspiring team members from across the country. Ed Lukasic's son Andrew deliberately sought out the chance to play for Humboldt, even though they live in Mississauga, Ont. "He knows he could play hockey in many different places. The hockey development, I think, would happen regardless. But I think … it's far more about being a part of a community and trying to make a difference," said Lukasic. Donna Babbik's son Mitchell had received offers to play in their hometown of Edmonton, but he chose to take up the offer to try out for the Broncos instead. "This was his number one choice: to come here, and try to rebuild," she said. Humboldt residents have been witness to an outpouring of international attention and support since the crash. "It's been the shortest and longest five months of anyone's life, I guarantee it," said former Broncos president Kevin Garinger, who took on the sorrowful task of reciting the names of the dead at a memorial service in April. "And again, you know, as I'm dealing with loss and those kinds of things, it's one-one-hundredth as difficult as what so many others are." Friends and family of the deceased have received a deluge of support from Canadians and people around the world, from raising over $15 million in a GoFundMe to the Washington Capitals bringing the Stanley Cup for a visit. But with such a collective outpouring — however well-intentioned — it's left some individuals little time to grieve. One mother said she couldn't bear to speak with The Current because she hasn't had one moment alone to mourn in private. Muench is of two minds as to whether the flood of attention was ultimately a positive for the healing process. "I think that in ways it has, in ways it hasn't," he said. "I've talked to some of the parents that … haven't had really a proper time to grieve even yet, because of the amount of attention and the amount of things that are going on." And yet, Muench said residents have also been buoyed by the knowledge that so many people sent messages of condolences and support. Some of those messages, in the form of art, banners and posters covered in signatures and words of encouragement, are currently part of an exhibit in the town's museum. "That makes us, I think, as a community, feel better through all of this, as we know that there's others out there that are sharing in our grief and are helping to make it better," said Muench. Inside the arena and community centre, a cross at the entrance inscribed with the names of the dead. A hush tends to fall over the space as visitors walk by it, as well as the memorials with photos and jerseys of the team's fallen members. Mary Zwane, a receptionist at the arena and community centre, has seen how the hurt has affected residents as they pass by. "Sometimes when things are [going] well, we feel like we just go on with our lives and we don't really think that we need each other that much. But this, I think, made us realize that we need each other. We needed each other for support. We needed each other for strength," she said. 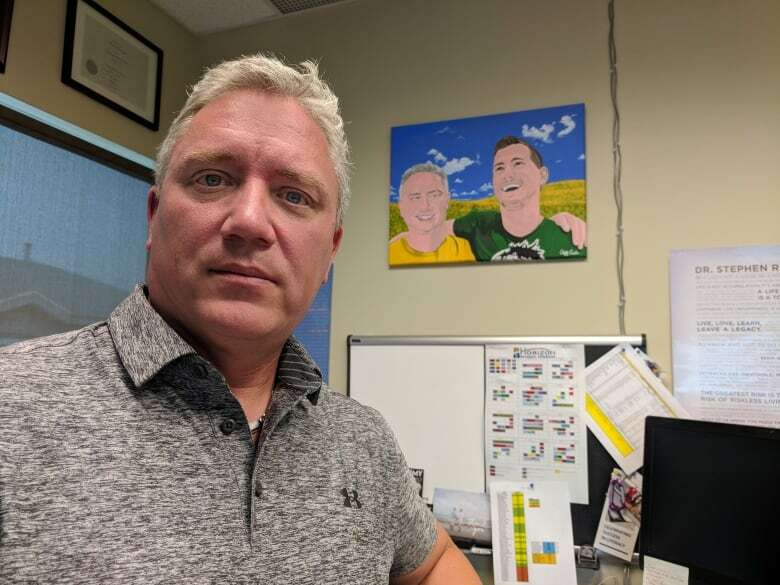 Muench recalls a similar tragedy from 1986, when a bus crash involving the similarly named Swift Current Broncos killed four members of the team. That moment remains "part of the fabric of their community," he said, and he anticipates it will be much the same for Humboldt moving forward. 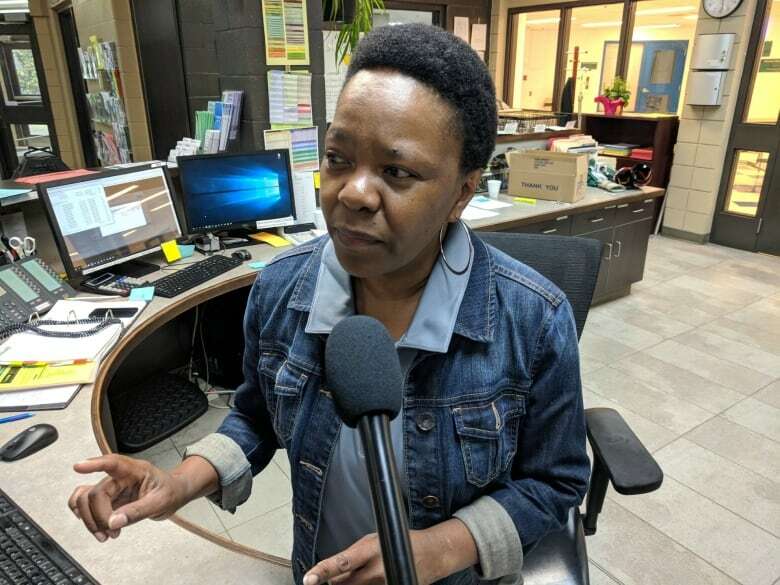 "I think people in Saskatchewan are kind of known for their [resilience], because our ancestors came here and worked hard — farming communities. So I believe that we're going to get through this," he said. "We're looking forward to kind of getting on with our day-to-day lives. Harvest is underway here, so we're bringing another crop in for the year — so life will go on." Listen to the conversation near the top of this page. Written by Jonathan Ore. Produced by The Current's Geoff Turner, and Winnipeg Network Producer Suzanne Dufresne.